Discriminatory Taxation to Boost Finance Capital? Where is Bangladesh heading for? 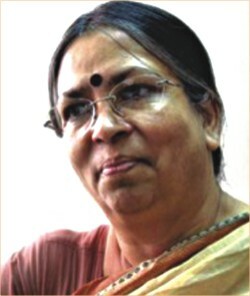 SULTANA KAMAL has been an indefatigable campaigner for human rights issues. She is the executive director of Ain O Salish Kendra, an organisation that provides shelter and legal assistance to vulnerable social groups and individuals. She has involved herself in all the progressive political movements of the country including the liberation war. Having finished her post-graduation in English Literature from Dhaka University in 1971, she received another master's degree in Development Studies from the Institute of Social Studies, Holland. After her work with village women in the post-independence era, she studied law to stand by women who were often victims of violence. In her multifaceted career, she has voluntarily worked for numerous rights and welfare organisations both at national and international levels. From 1989-90, she worked for the Vietnamese Boat People in Hong Kong as the Legal Consultant with the UNHCR. She received the John Humphrey Freedom Award 1996 Canada for her contribution in protecting human rights. At present, she is also the Chairperson of Transparency International Bangladesh. In this interview with RIFAT MUNIM, she talks about the recent incidents of police excesses and how they get away with their unlawful activities. Rifat Munim (RM): A recent spate of police brutalities on journalists and civilians, especially on Farzana and her parents at the Dhaka Magistrate Court premises has raised serious questions about law enforcers' abuse of certain powers. Actually, what does our law say about this? Does any law support such brutalities on the part of the police? Sultana Kamal (SK): The simple answer is no. The police are an organised force. They have to abide by a strict chain of command and they are to be people friendly. They cannot use their power without having any reference to the norms and conditions of the power and authority that they are given to maintain law and order. So there is no scope either in the law or in the police code for abusing their power like that. RM: Then we can decisively say that such misconducts are unlawful. Perhaps there's a provision in our law for a victim of police brutality to file a lawsuit against the perpetrator. Then why don't we ever see a police officer facing a trial and then be punished just like any other citizen? SK: Well, it's not only unlawful, it's also unethical and it's also corruption. By corruption we don't only refer to financial corruption but also to abuse or misuse of power. So, the way police are behaving is both unlawful and corrupt. Now the question why don't we see people coming out and filing cases against police or any police being punished for the kind of behavior we are discussing here is a very valid one. One of the basic constraints is that the victim or the survivor has to file a complaint against a police officer to another police officer. So, it goes without saying that there is a great reluctance in the police force to take any complaint against one of their colleagues. They try to divert the whole case to an entirely different direction other than taking the complaint against the particular perpetrator and see that he is punished. The whole force takes it personally as if any complaint against an individual officer is set against all of them. So, instead of calling the alleged perpetrator within the force to justice, they try to create a lot of different stories; they even threaten the complainant. I'll just give you one example to prove my point. When I went to the police station in Lalbagh area to stand by Farzana and her family, the first evening it took me four hours to convince the police to take her statement and let the family come with me so that they could come back to the station next day to file a complaint. And the next day, they went there about 8 o' clock in the night and the case was actually filed at 2 o' clock in the morning. That clearly shows how seriously the police officers thwart the whole process. RM: And this when an organization such as Ain O Salish Kendra was so closely involved with the whole process. Then what happens where ASK and media cannot reach out? SK: That is something to be actually noted that a family which has ASK behind it had to wait that many hours to file a case against the police. So you can easily imagine what happens to those who are much more powerless than this family in terms of having legal and media support. RM: Since this is the prevalent scene in the present system, is there a need for a new mechanism, may be a new department, where lodging a complaint or filing a case against any police officer will not be a problem? SK: I don't think a new or quick mechanism can solve the problem because it's a question of deep psychological factors and also the way police are used to looking at people and the way they pose themselves against people. Besides, our political and cultural history is such that they (police) have always been used against the people in favour of the powerful. This powerful section can be the people in power, the ruling party or people closely affiliated with them or people with money. So that's why we really have to see a revolution going on within the psyche of this particular force and also there are some material reason why they behave like this because they themselves feel very insecure with their own position. They don't really know how to take a decision, which way to go , whether to support the victim or stand by the perpetrator because most of the positive turns in the career of a police officer will depend on who he is being able to please, such as his transfer, his placement, whether he'll be called to accountability or not, whether he'll enjoy impunity -- everything will depend on who he pleases or serves and how cleverly he can do that. RM: So, you don't think a new mechanism is necessary. SK: Well, a new mechanism can be helpful but it should not be merely a technical mechanism because what is really needed is a change from within the force. We have been advocating for police reform to take place for many years now. And there are many scopes within the reform project which will actually change the mindset of the police. We have advocated for training, recruiting more women police. Just increase of more women may not help directly but there definitely will be a different chemistry within the force. And of course, police are an exploited force, both politically and economically. All those exploitations will have to be ended. They are poorly paid, most of their duties don't relate to policing. They are rather basically engaged in protocol duties for very long hours. Finally, as we all know their number is kept in an unrealistic proportion which is one policeman for 1200 people. At another level, they are expected basically to serve the powerful any deviation from which may cause them trouble. RM: BLAST, ASK, Shommilito Shamajik Andolon and several individuals filed a writ petition in the High Court challenging the abuse of police powers to arrest without warrant under Section 54 of the Code of Criminal Procedure (CrCP) and the abuse of powers regarding taking the accused into remand (police custody) under Section 167 of the CrPC. Another law is the 1974 Special Powers Act. Do you think such draconian laws provide incentives for police to abuse their powers? SK: Well, once you are in a position of authority, you'll definitely have some power in your hand. Basically, it's a question of whether that force is being able to use that power independently enough, judiciously enough and also ethically enough. There are many factors in our country, which do not allow our police to act judiciously and ethically. First, their psyche is such that they feel once they are given power they can do things as they wish, which is wrong. Secondly, they are also made to use that power by more powerful people in the society, particularly in our experience, by the ruling party. Thirdly, the police force are not adequately trained and given enough orientation to judiciously decide when to use that power. Once you have specific power in your hand, you have to be educated enough in a broader sense to know at which point you can use that power. If you don't know when to use your power, you'll abuse it. However, it will be unfair to say there is no exception in the police force to this but unfortunately, they are counted as exceptions only. Through our writ, we applied to the court to see that those sections are not used inappropriately. There are certain safeguards and rules related to these sections which the police must follow but normally that doesn't happen. Say, for example, there are nine different clauses that actually control the abuse of power given to police by Section 54. To mntion a few of those clauses, they have to produce the arrestee within 24 hours before a court; his health has to be checked properly; then they have to submit the charge sheet within a particular period of time; above all, they can only use that power when there are certain situations like let's say, if there are real reasons to believe that the person is dangerous or if he is capable of creating a situation where a lot of people may be at risk or if he has escaped from one police station to the jurisdiction of another station something like that. These are the particular directions under which police can apply this section to arrest someone. Otherwise, they cannot arrest anyone without warrant. RM: You have already addressed the consequences of politicisation of the police force. How do you think this trend can be reversed? May be you are aware that OC Salahuddin who was supervising the brutalities inflicted on Farzana and her parents on that day, comes from Gopalganj and he was previously an active member of the BCL. SK: In that case you will have to be completely impartial while recruiting someone in this force and there are definitely certain characteristics that need to be checked before you appoint somebody in a position where he will have a lot of opportunities to use force. This is an institution where they are not only given power to do a lot of things, but also are provided with weapons, even lethal weapons which is why the administration will have to be absolutely careful in seeing what kind of person it is appointing. And the appointed officers and other ranks will have to be constantly reminded that they have a noble job to perform; they are not just hired fighters of the government to suppress the opposition. This opposition can be the opposition political party or any group protesting against any government act or demanding something. One of the examples is a primary school teacher who was beaten to death about one and a half months ago by police for demanding regularisation of their job. Recently, in Narsindi a judge who came to the court by a rickshaw was challenged by an on-duty police and then another police officer appeared in the scene and hit the judge with his helmet, even without knowing what was happening there. Police cannot behave like that and this is totally unacceptable. All police personnel for such unlawful and arrogant behavior must be brought to justice. Otherwise, the perpetrators feel there is nothing that can prevent them from going against the civilians. It is only by giving the state forces a sense of accountability that we can stop such behaviours by them. RM: So it is obvious that police are abusing their power violating people's basic rights and despite constant media focus and angry protests from human rights organizations, nothing is happening. What do you think the government should immediately do to bring this situation under control? SK: The government actually needs to be serious about their transparency; it should be serious about seeing that the pledges it has made in the election manifesto about the law and order situation are fulfilled, giving people back their democratic rights. So they have to be serious whatever they have pledged in their election manifesto. Rifat Munim is Senior Editorial Assistant, The Daily Star.